Knowledgable and all around awesome, Robert has mastered video game journalism for years, writing for a number of sites including AOL GameDaily, Planet Xbox 360 and GameZone.com. Also known as the George Clooney of the Video Game Industry in some circles (mostly women). If you love the game – or have always wanted to – you shouldn't miss this HD remake. OK, I admit it. When The Legend of Zelda: Wind Waker was first announced for the GameCube many years ago, I was one of those people that groaned about the changes being made. "Super-deformed cel-shaded 'cute' Zelda?!" I said aloud, wondering just how much the formula would be affected as a result. But I've done this before. I remember being in the same boat with Metroid Prime and questioning the changes being made, particularly with its first-person perspective shift. In the end, though, Nintendo proved me wrong, as both Wind Waker and Metroid Prime became defining moments for the GameCube – and vital reasons to own the system. 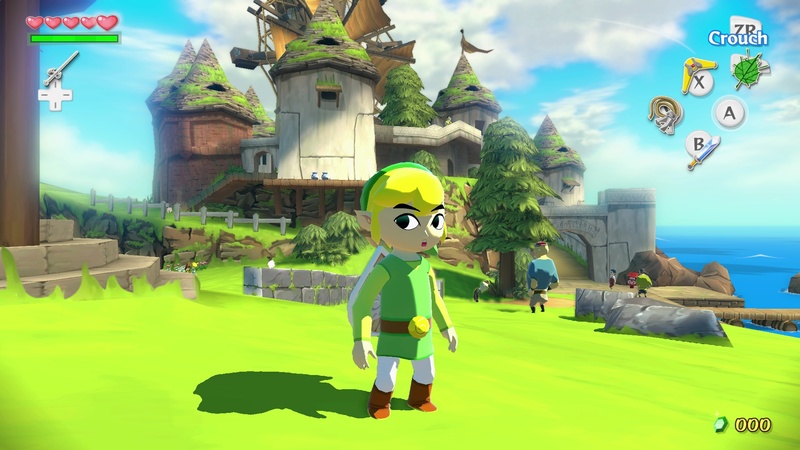 Now we shift to 2013, and while Metroid has yet to be seen (outside of the Virtual Console release Super Metroid), we do get another dose of Wind Waker, this time as a high-definition remake for the Wii U. While it isn't the most necessary game out there, it is nice to have something of true value to play on the system, as well as a reminder that some of the best gems in a game series are unexpected ones. Fans and newcomers alike will find a lot to like with this game.